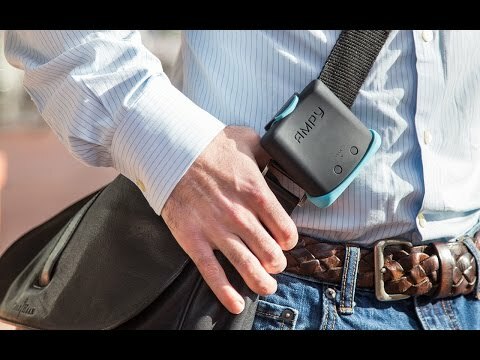 AMPY is a green way to gain some extra backup for flat or nearly dead batteries. It harnesses the energy you create when moving and converts it to usable power. Put it on your leg while exercising or toss it in your bag while you’re out and about. For the best results, charge AMPY in the wall and then maintain the charge with daily activity. The accessory kit includes a band to wear AMPY on your arm or leg, a hip-clip to wear it on your belt, and a USB/micro-USB cable.